Lundåkra is the best kitespot in Skåne when there are south to south eastern winds. Eastern winds works too, but the wind tends to become more gusty due to forests and land masses behind the spot. The spot can look quite scary for the beginner at a glance. 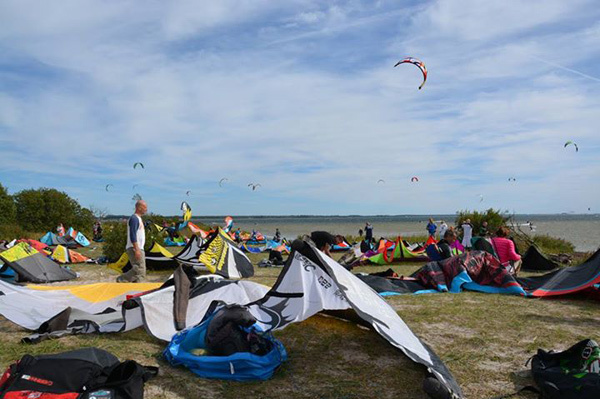 The rigging area is limited and it can be pretty crowded with kites, lines and people on sunny days with good conditions. As a beginner it’s highly recommended to walk out some ten meters in the water before you launch your kite, since a failure on land can have disastrous consequences. The surface on land is like a big pot, cornered with trees that creates wind shadows over a large area which make it hard to launch even for the experienced rider. 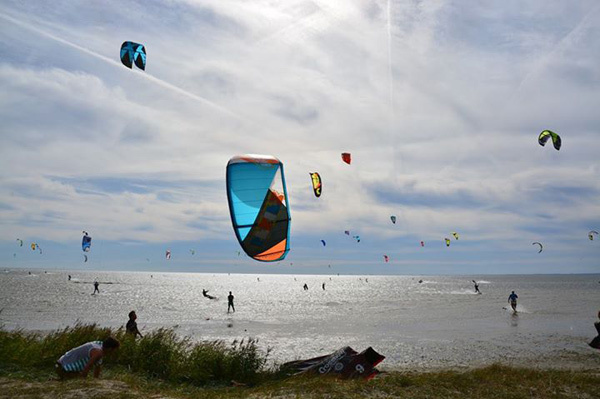 There is a shortage of good kitespots along the coast from Skåne to Halmstad for south eastern winds why kitesurfers from the north sometimes pilgrim to Lundåkra during weekends when there are good strong south eastern winds. This make the spot extra crowded and as a beginner you’re really facing a challenge in the chaos that sometimes rule this spot. On the upside is that Lundåkra often delivers shallow water and vast open water area once you’re out in the water. There is toilet and parking lot next to the spot which is handy.